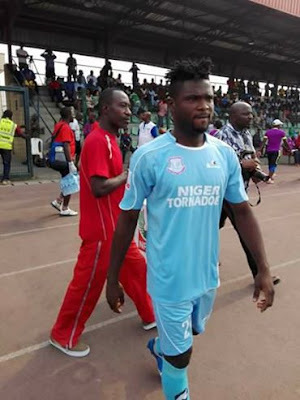 Former Heartland winger, Chidiebere Ajoku, was match hero for his new club, Niger Tornadoes, in their clash against Wikki Tourists, on Wednesday. Ajoku scored in both halves to give his side their first victory this season after an unconvincing start. 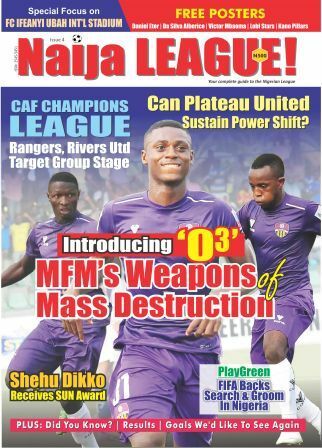 In a post-match interview with naijaleague.com.ng, Ajoku expressed satisfaction with his match day outing. “This is a good way to start scoring especially when you are new to a team. “This brace has boosted my morale and the standard for me is high already. I will continue to work hard to see that I improve on every opportunity and also help my team to get impressive results”, he said to naijaleague.com.ng. The Minna based side are now 17th on the log with 4 points from 4 games.